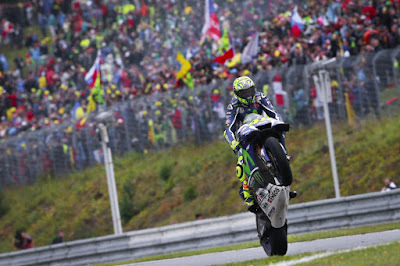 Home 2016 HJC HELMETS GRAND PRIX ČESKÉ REPUBLIKY motogp Movistar Yamaha MotoGP RAC Reaction Valentino Rossi I wasn't as brave as Cal! I wasn't as brave as Cal! 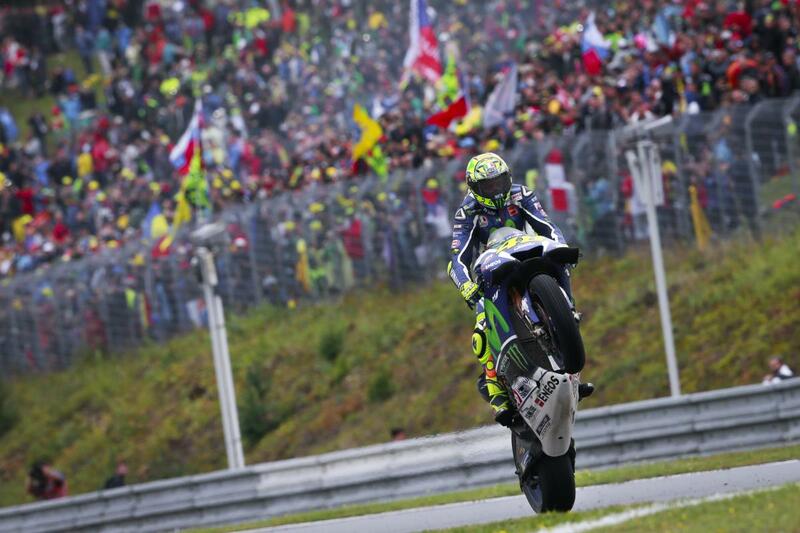 A fast-charging Valentino Rossi (Movistar Yamaha MotoGP) took a P2 finish in the HJC Helmets Grand Prix České Republiky, coming through the field from a “desperate” P12 near the start to hone in on the front and slice through to follow winner Cal Crutchlow (LCR Honda) home. Rossi, who chose the harder option rear tyre but the softer option front, took some time to get up to speed before the red sectors started to appear and the veteran Italian used his superior grip to haul himself back into contention. 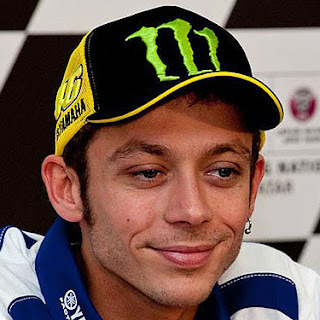 After the parc ferme interview, Rossi was further quizzed on the result – gaining P2 over teammate Jorge Lorenzo and moving closer to Marc Marquez (Repsol Honda Team) in the championship – and whether he thought the 53-point mountain was on he expected to be able to climb. “No,” was the response, with the Italian saying the goal was simply to do his best in the second half of the season and see what happened.